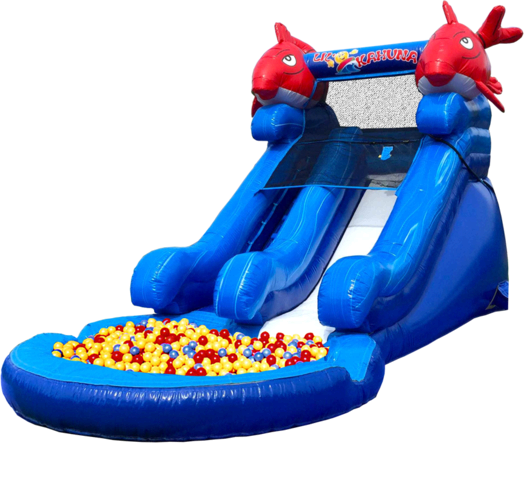 The Lil' Kahuna is perfect for a toddler slide party. Toddlers climb up the left side and slide down from the right into a sea of balls! The slide is 5 ½ feet high and the ball pit is 6 feet wide, 6 feet long and 6 inches deep. This is a DRY SLIDE. Balls included! CAPACITY: Can accommodate 50+ participants per hour. An adult MUST be present at ALL TIMES while unit is in use.